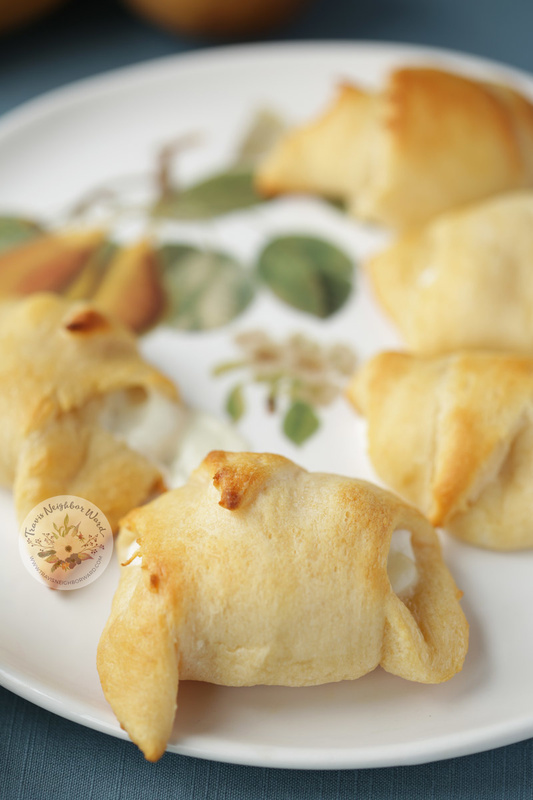 Using pre-made crescent roll dough and low-fat cheese, you can whip out these flaky appetizers in a matter of minutes. 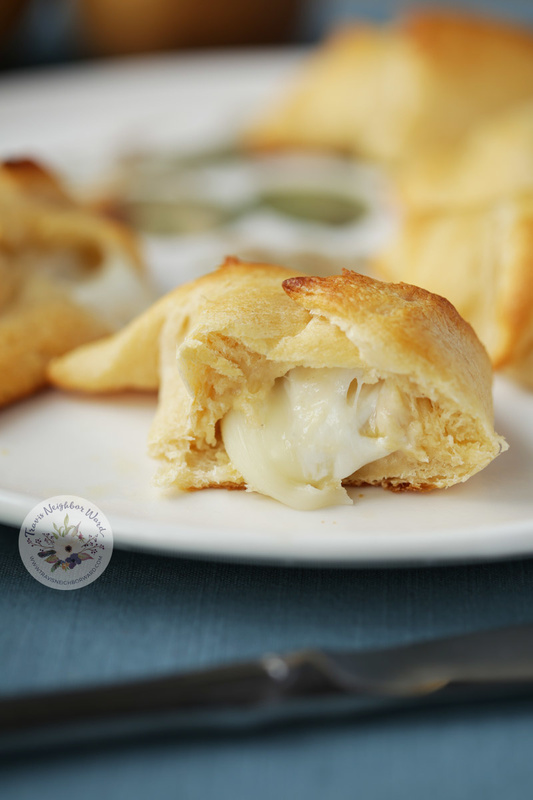 I first had these crescent roll appetizers stuffed with cheese at my friend Kimberly’s house when she hosted our book club one evening, way back when. Kimberly is extremely glamorous and an excellent hostess, and she’d set up a delicious spread of food and drinks — all very elegant. 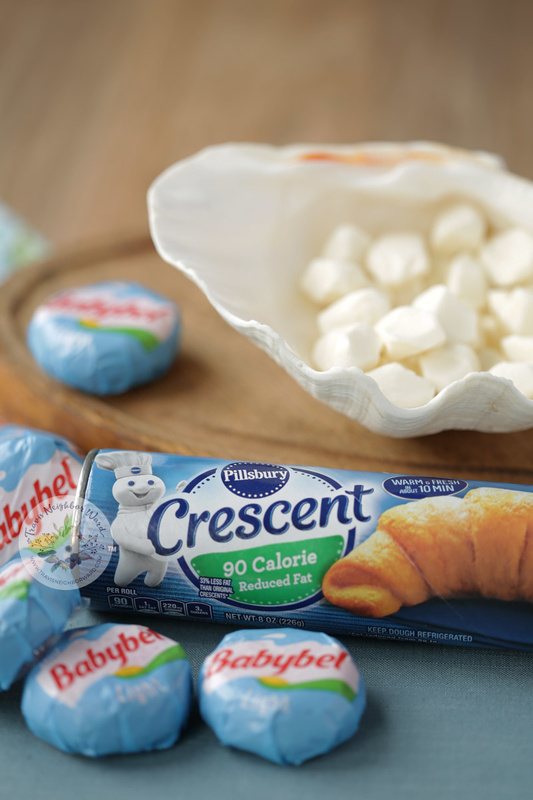 I was happily munching away, reflecting on her style, when she whipped out a pre-packaged, refrigerated tube of crescent rolls. She then proceeded to show us how she wrapped Babybel cheese in the middle and baked them, the result being a gooey, cheesy, flaky delight. As soon as I tasted them I knew why she hadn’t prepared them in advance. These are definitely best served hot out of the oven, with the cheese bubbling out of the ends. The best part: They’re versatile. You can impress guests (try serving them with pear slices) and satisfy hungry family members. Game night, anyone? If you can’t find mozzarella pearls, you can use any kind of mozzarella chopped into small pieces. To reduce the fat content even more, buy fat-free cheese. After you unroll the dough, arrange the cheese on the wide end of each triangle. Roll them up and bake for 8-9 minutes on the middle rack, then serve them hot! If you have leftovers, I recommend that you toast, not microwave them, to keep the dough flaky. Enjoy! 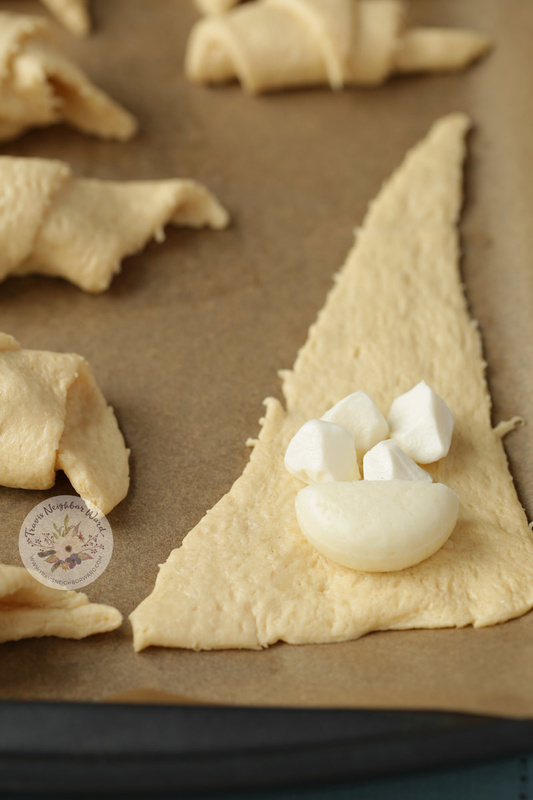 Unroll dough into the pre-cut triangles. Cut each Babybel cheese round in half. Arrange 1/2 Babybel and 3-4 mozzarella pearls on the wide section of each piece of dough. Roll into the shape of a croissant.